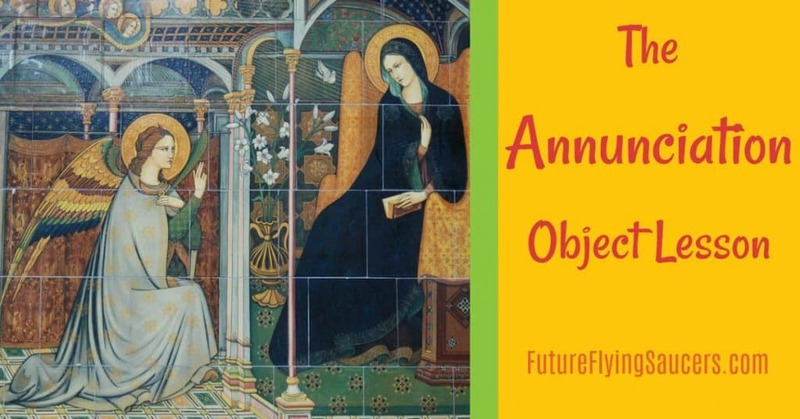 The Annunciation Object Lesson | FutureFlyingSaucers. Splitting the red sea and walking on dry land…city walls falling down…chariots of fire? The Bible is filled with impossible sounding events. Angels? Talking to people? 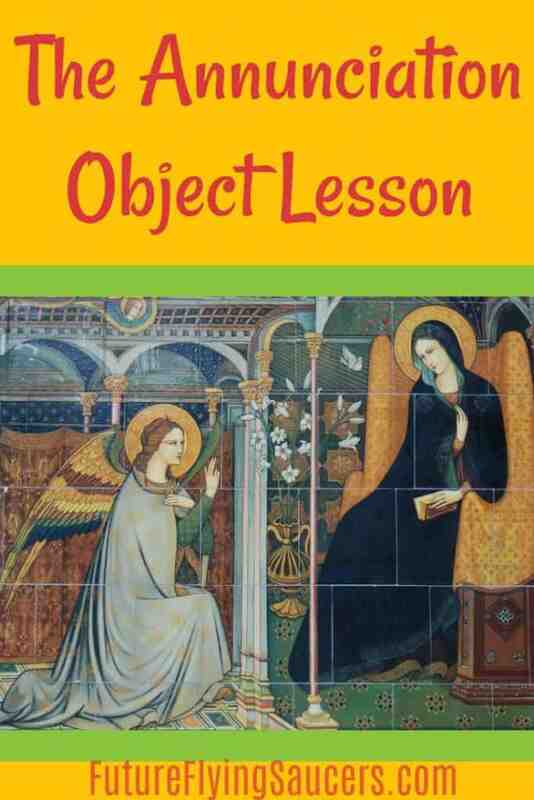 In this Annunciation object lesson, discuss the conversations Gabriel had with Zacharias and Mary and how God continues to do the impossible. Background: God has been silent for 400 years. God created us to smile and laugh. He enjoys us and likes to bless us. And while I think God has a great sense of humor, I do not think God jokes around. If you think about it, jokes are meant to trick someone, or make fun of something. And God doesn’t do that. He never tricks us. He is always honest with us. That was what Zacharias and Mary found out. It was Zacharias’ turn to go to the temple. He only had one time in his life to do this. And his lot was cast. This meant Zacharias’ name was drawn for the group of available priests. He went to Jerusalem. Zacharias was an old man and his wife was old as well. He was a priest and had no children to pass on the priesthood. It was his turn to go into the temple and burn the incense in the Holy of Holies. He was a righteous man, blameless, and walked in the commands of God. This was a yearly event. So the people were standing outside the temple as Zacharias went in. They wanted to be sure that he came out and those who really believed in the Lord wanted to be sure their sins were forgiven. 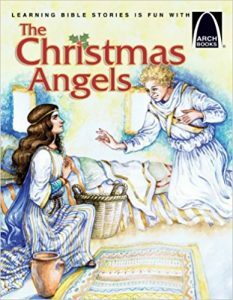 When he sees the angel, it’s almost like Zacharias asked the angel if God was joking. But God was about to start the events that would save His people from their sins, beginning with Zacharias, a righteous man whom God wanted to bless in his old age. God was being serious. But God doesn’t do things the way people think He should. Everyone would know that Elizabeth was old and going to have a baby. This was strange! However, Elizabeth knew that God had not forgotten her and had decided to finally bless her with a baby so people in the town would not disapprove of her anymore. In Jewish society, if a woman was barren, people disapproved, or thought the woman was sinful in God’s sight. Mary went to her cousin’s house. Mary had a different problem than Elizabeth. She was going to have a baby. She was engaged to Joseph, but not married yet. Having a baby when you aren’t married was a scandal! It was considered a bad thing. Mary knew that the people around her would not be happy. Perhaps Mary went to Elizabeth’s house because she knew that Elizabeth was going through a strange time as well. Both wanted to hide from people. Two very special people who had two very special babies. God enjoys His people, but He does not joke around with us. He takes Himself, us, and sin seriously. He is Truth. He will always tell you the Truth. He will not hide from you. He wants you to seek Him. He wants to show you that He can do the impossible. 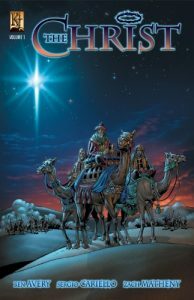 The Bible is filled with prophesies, such as a king being born in the town of Bethlehem – or – an older woman named Elizabeth having a baby. Even though Zacharias had a lack of faith, Elizabeth and Mary were committed to God’s will right from the start. They did not know how their lives would change, but they knew God would take care of them. God takes care of you too. Sometimes He does the impossible. Sometimes He asks US to do impossible things. But if you are committed to Him, even if your life changes, God will take care of you. If you are committed to Jesus and repent of your sins, God will forgive you. How amazing it is that an all-powerful, just God would forgive the sins of rebellious people like us. It sounds impossible, but it is true. What can we learn from the annunciations to Zacharias and Mary? No matter how impossible something sounds, if God tells you it will happen…then it will happen. He is trustworthy.